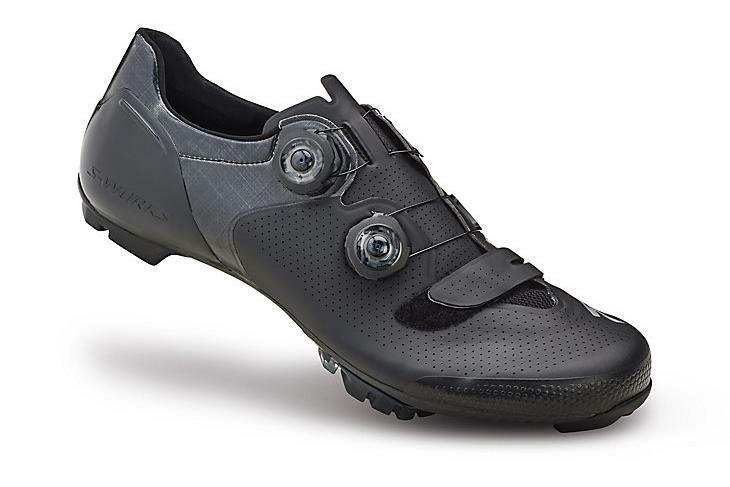 The good news is they are close brothers; its pretty much a road upper mounted to a MTB sole. The cleat plates are titanium; the Boa system is as good as on the road shoes. The sole has something called a FACT plate in it and has stiffness rating of 13 (we have long gone past "turning it to 11"). I love all these numbers and ratings - no one has any idea what 13 really means! All I can say is that they are very stiff indeed! Performance offroad is great, as you would expect. It's a £310 pair of XC shoes. They should be amazing. But I have really liked them. Within two rides they felt like a well worn pair of slippers. Immensely comfy, and I never get any form of hot spots or pressure points on them. What has proven a revelation to me is how good they are as a commuting shoe. Despite the fact that I wear away all my road shoe soles and cleats with the endless stop and start of London life I have never wanted a pair of MTB shoes. I had ideas that they would be heavy and clunky. These are anything but; and the ease with which you can engage and disengage on MTB double sided SPDs is a god-send in town. 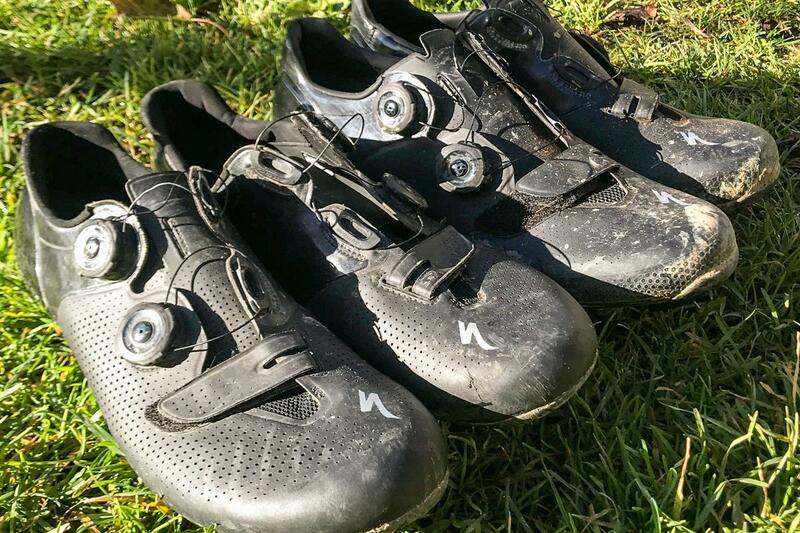 So I started off buying them for gravel ride purposes only, but they have very quickly become my main shoes and I will leave road race shoes for weekends and big events. If I cycled from one shop to another in a pair of jeans I would just leave them on all day. Which is not something I can do on the road ones. The fact that I bought these as a novelty/niche pair of shoes and they are so good they have now become my main pair of shoes tells you all you need to know about them. On or off road, sorted !